I've been busy the past couple of months with conventions, prepping for Radcon and Norwescon and recovering from them afterward. They're so much fun, but a bit exhausting. I did, however, particularly enjoy a couple of panels I was on, and thought I'd combine some thoughts sparked by them into one post. 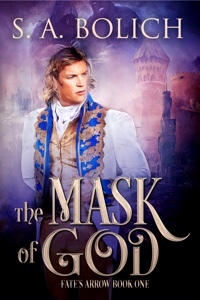 And celebrate the new cover of The Mask of God from the fabulous artist, Fiona Jayde. Ain't it purty? We're redoing all of them because we had to change cover artists mid-stream the first time around. A series should look like a series! Watch for the re-dos of The Mark of God and The Heart of God coming soon, and the release of Book 4, The Wrath of God, in June. Whenever writers get together there will always be an endless variety of opinions on "the rules" of writing. Everybody agrees the prose must be readable and the story engaging. After that. . . snort. Nobody agrees on anything. The subject du jour at Radcon was prologues and how they should be avoided like plague-carrying rats. Nobody reads them, say some. But if they're necessary to the story, put 'em in, say others. At Norwescon it was how shifting POVs are death. Or not. Can epic, multi-plot fantasies truly be written from one POV? The debate rages. My personal opinion is that a writer can make anything work if they do it well. And I personally like prologues, especially in epics. In Mary Stewart's The Crystal Cave, the story starts before Merlin is even born, with a meeting of two people whose names we don't (yet) know. The scene seems irrelevant at first, but then she gradually reveals the meaning and we see that yes, this is indeed where the story starts, six years before we meet Merlin himself. Sometimes the author needs to go back thousands of years to lay the groundwork. Prologues are infinitely more interesting than trying to work all that backstory gracefully into the opening chapters, trust me. And so much easier. Regarding POV shifting, otherwise known as head-hopping--eh, guilty as charged. I like to head-hop, because very often the Point of View character can't know everything the writer needs the reader to know for the story to make sense at any given moment. 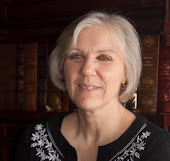 Carol Berg does single-POV, first person epics superbly, but I like to write in third-person, and to view a scene from multiple viewpoints when required. My Fate's Arrow series hops shamelessly from head to head, often in the same scene, because I as a reader like knowing what other characters are thinking, and it is often easier just to show the reader than try to awkwardly have the main character guess. So don't be surprised if you are suddenly looking through someone else's eyes on occasion, because it's not a mistake. Now, how do I personally make these things work? I went through about four different versions of a prologue for The Mask of God, trying to lay the groundwork for this danged epic that was pouring from my head in such rich detail it was becoming a bar to getting the story off the ground. I learned a lot about the characters and the world but none of the early drafts were quite right. This one was in the very first draft of the novel, which at that time had a working title of The King's Brother. So naturally we see the brothers who are the bedrock of the entire story. But beta readers wanted to know how that scene was relevant, so I scrapped it and tried again. In this one I wanted to show the very important backstory surrounding the colonists' rebellion against the theocracy that had conquered the planet and cut it off from the galaxy. And it was pretty cool and I learned a lot that made it into the books, but again, it wasn't quite right. Finally, because there are two strong storylines involving both mortals and immortals, I started with the immortal who is really responsible for the whole darn thing. And thus we have the real opening to The Mask of God. Really! You can read about the development of these various versions in more depth at my website here. Enjoy! And if you're a writer struggling with "the rules," just write. Your beta readers will tell you if it's working or not. And have fun building your world!